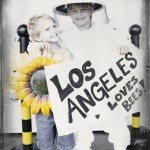 I consider both of my children lucky to know the honeybees so well. 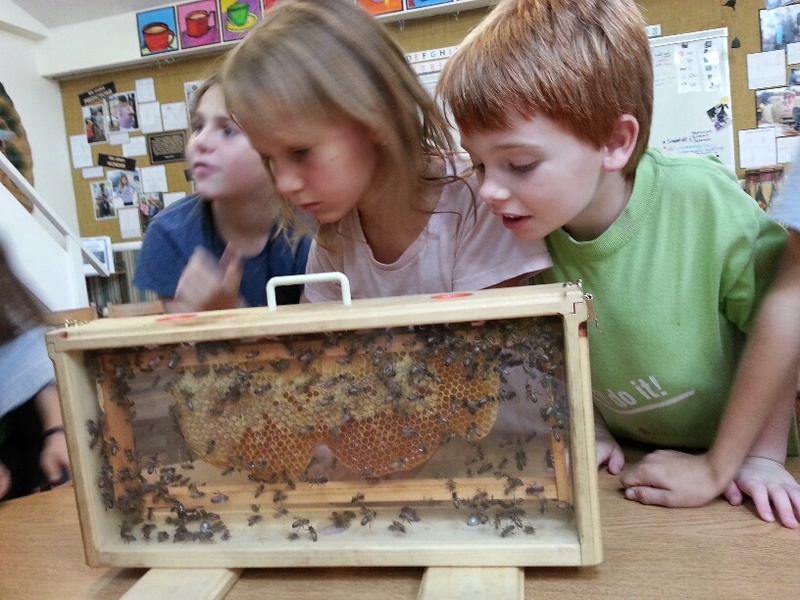 Living with a beekeeper has afforded me a chance to observe how children interact with bees. From what I’ve seen so far, they fall into two distinct camps: those who are fascinated, and those who are afraid. There are kids who watch in wonder as the honeybees land on the stones in our birdbath and drink water through their delicate tongues, and there are kids who cover their hair with their hands and run away screaming. There are kids who knock on our door to buy a jar of honey and ask to see our bees, and there are kids who will poke a long stick through our fence and bang it against the roof of a hive. I worry that the child who runs from bees in fear will grow up to be the adult who spots a healthy swarm in her backyard and sprays it with insecticide. I worry that the child who bangs on a hive roof will grow up to be the teenager who knocks over a neighbor’s hive in the middle of the night. These are two kinds of transgressions that happen often in my community, and they are undeserved. 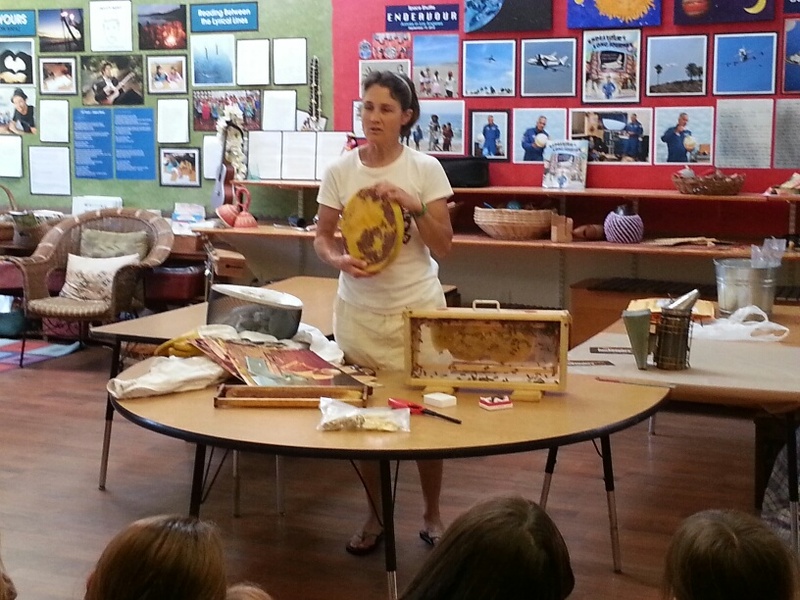 Unlike the many varieties of wasps, bees are gentle creatures. 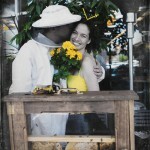 They pollinate our crops, make honey, and rarely sting unless provoked. In recent years, beekeepers have continued to report high annual losses. 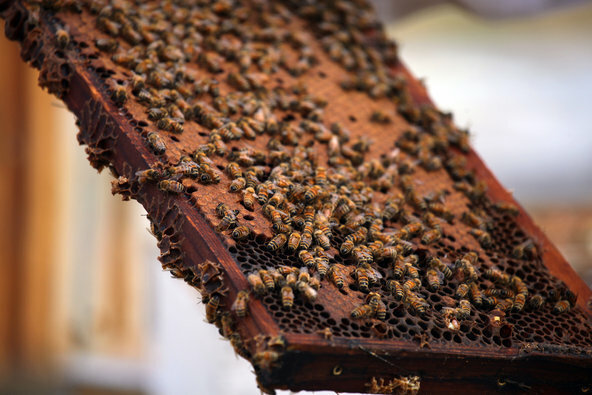 An annual survey of beekeepers conducted by a partnership that includes the United States Department of Agriculture, released Wednesday, suggested both that significant losses in colonies continue, and that the loss rate in summer has increased. We compensate for this by breeding and replacing our lost colonies year after year. Scientists are no longer concerned that the honeybee’s extinction is imminent, but we are not yet off the hook. 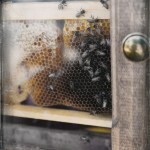 The disappearing bees have reminded us that our survival is interdependent. We live in collaboration with other species. 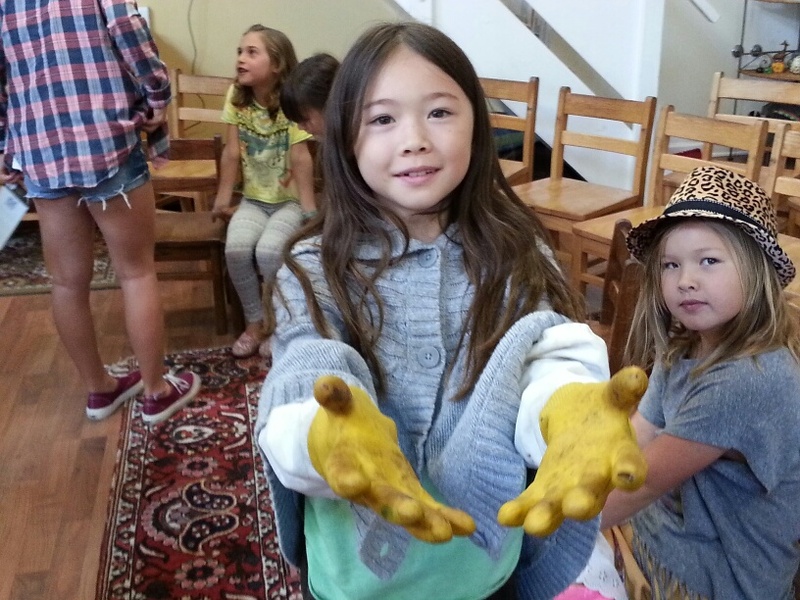 A child who squashes bees or runs from them is a child who hasn’t yet learned their value, and it’s our job to teach them. This might begin by teaching our children what a honeybee looks like. 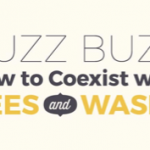 Before my partner brought home our first colony of bees, I was like many adults in that I could not distinguish a honeybee from a bumblebee, and had only the vaguest notion that wasps were a different species entirely. 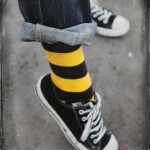 The yellow jacket who is harassing you at the end of summer, trying to take a bite of your ham sandwich, has little in common with the honeybee who is gathering pollen and nectar. Children are capable of making this distinction; like adults, they just need a little guidance. 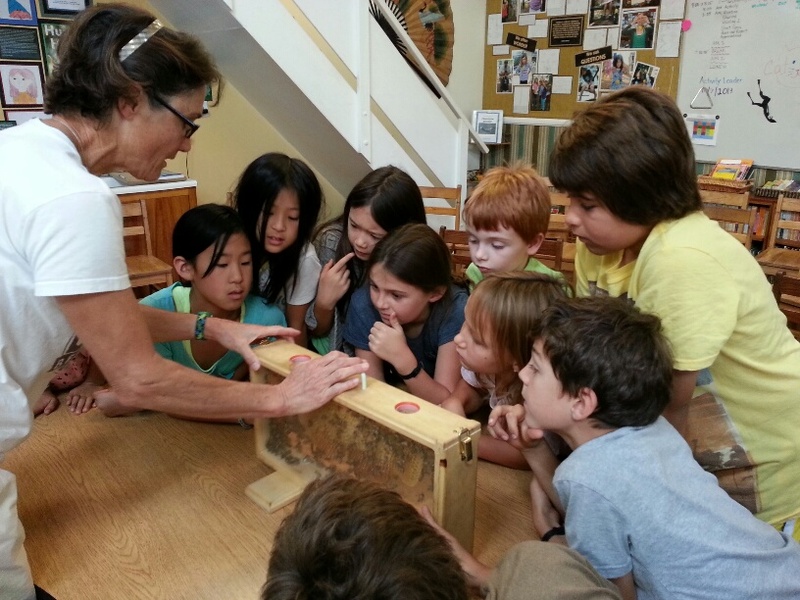 Teaching children to value the honeybee might also include explaining the phenomenon of swarming, which, contrary to popular belief, is not an angry behavior. 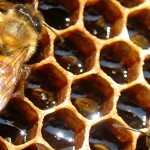 Honeybees swarm when their colony has grown healthy enough to divide in two. One half of them remain in the hive to welcome a new queen, while the other half leaves in search of a new home. They fill their bellies with nectar and travel in a cluster to shelter their old queen. The sight of a cluster of bees on a branch in a yard or a park is an opportunity for observation, a lesson about the intelligence of the insect world. And that is the real lesson the bees offer: as smart as we humans are, we don’t know everything. At my house we can dance to Beyoncé in the living room, but we can’t wiggle our butts in a sequence so precise that it communicates the location of a nectar source three miles away. Bees can. My partner has a practice that many beekeepers would find silly. Though a typical worker bee lives for only six weeks, in the evening my partner often picks up bees who have grown cold and fallen just outside the entrance to their hive. She collects them in a jar, brings them inside our house to warm them up and later, once they are restored, she returns them to their home. 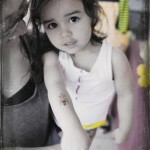 I used to tease her about this. Bees are members of a complex system. They are not individuals, and it struck me as foolish to attend to them as such. But then last week I saw my 6-year-old son crouch in front of a hive at dusk to gather languishing bees in his small hand. In that moment I realized what the bees had taught him — it’s the very lesson we all need to learn: that every small part of the system counts for something. 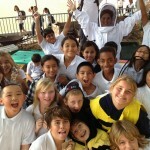 Thank you to Susan for doing another awesome school outreach in Manhattan Beach! 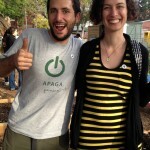 YAY BEES! 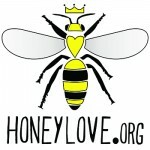 Join the HoneyLove School Outreach Team! 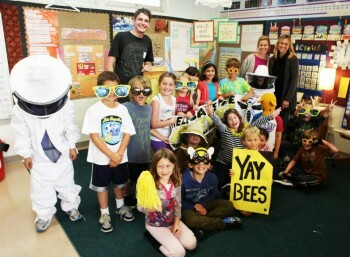 Interested in helping to spread a buzz for bees at local Los Angeles schools? 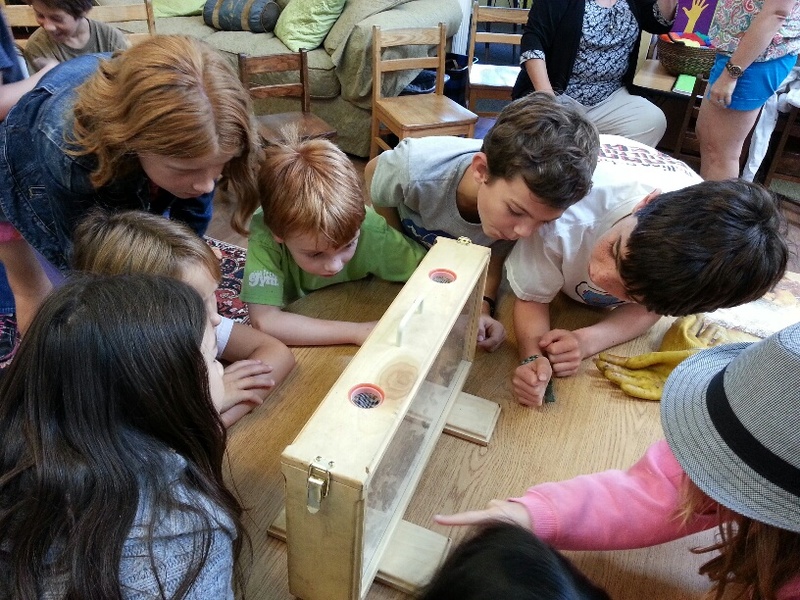 We are starting a new task force to visit 50 schools in 2014 and WE NEED YOUR HELP! 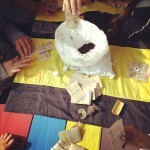 HoneyLove will provide outreach materials to all volunteers who complete the training! 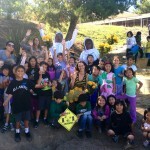 HoneyLove School Outreach @ Rancho Vista Elementary School ? 72 kids!! 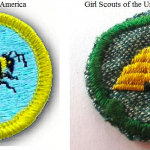 Bring back the Girls & Boy Scout’s Beekeeping badge! !